Pegogamaw Cree Territory: From the Saskatchewan River forks region westward to the Eagles Hills area near the Alberta border. 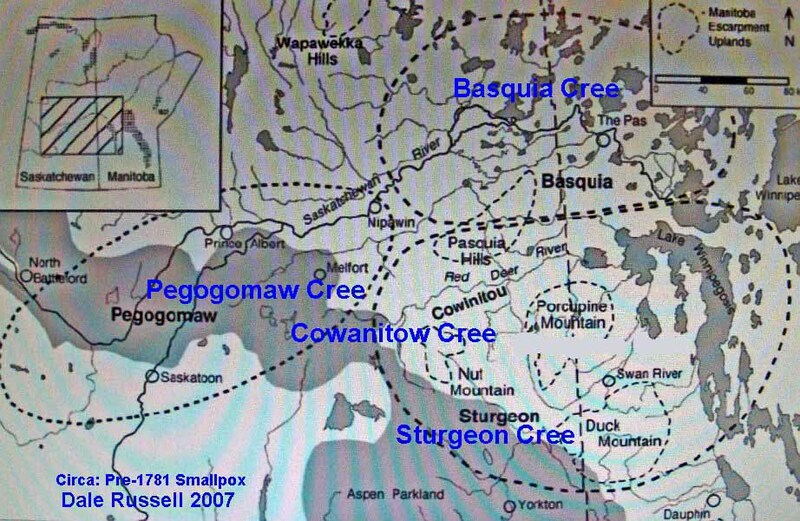 Sixty percent of the Pegogamaw Cree perished in the smallpox epidemic of 1781. 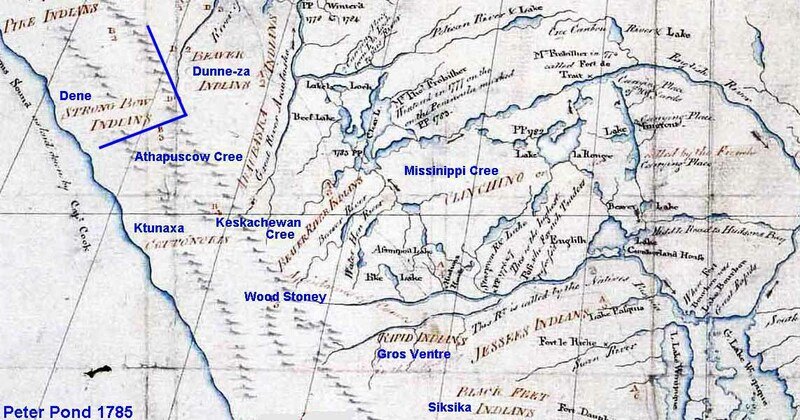 Subsequently, Cree migrated into their territory from the east and merged with the survivors to form a new identity, Plains Cree. The Pegogamaw Cree of the Chippewa Cree Tribe of Montana were most likely refugees from the Riel Rebellion.